Across America, the opioid epidemic affects moms, babies, and families. A key concern is infants born with Neonatal Abstinence Syndrome (NAS), a condition associated with exposure to opioids in utero that may result in hyperirritability at birth, feeding difficulty, and respiratory problems. School of Public Health Associate Professor Katy Kozhimannil recently co-authored an editorial highlighting research examining the community-level forces, structural factors, and social determinants contributing to the emergence of NAS cases. 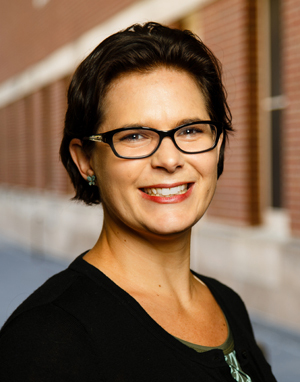 The editorial, co-authored by Lindsay Admon of the University of Michigan, was published in the Journal of the American Medical Association (JAMA) and accompanied a study by Stephen W. Patrick and colleagues, looking at the association among county-level economic factors, clinician supply, and NAS. That study found a relationship between unemployment and NAS in rural communities, and between a shortage of mental health professionals and NAS in urban communities. In terms of solutions, Kozhimannil says the study’s findings suggest there may be promise in investing in community prosperity as a component of efforts to counteract the effects of the opioid epidemic in rural counties. She also said the results reveal the necessity of focusing on the health of pregnant and parenting women in addition to diagnoses that occur among their infants. Focus more broadly on reproductive-aged women, regardless of pregnancy status. Amend or repeal punitive laws that discourage women from disclosing substance use during pregnancy. Allow pregnant and postpartum women priority access to insurance coverage expansion programs and other programs that allow for treatment continuation. Address important knowledge gaps that remain, including a focus on use of multiple substances (e.g. opioids, methamphetamines, marijuana, alcohol, tobacco) among reproductive-aged and pregnant women.